There have been some great changes to iOS notifications with the iOS8 update. This means that now you can send a payload of upto 2KB instead of the 256 bytes earlier. iOS8 also separates the silent and UI push notifications. 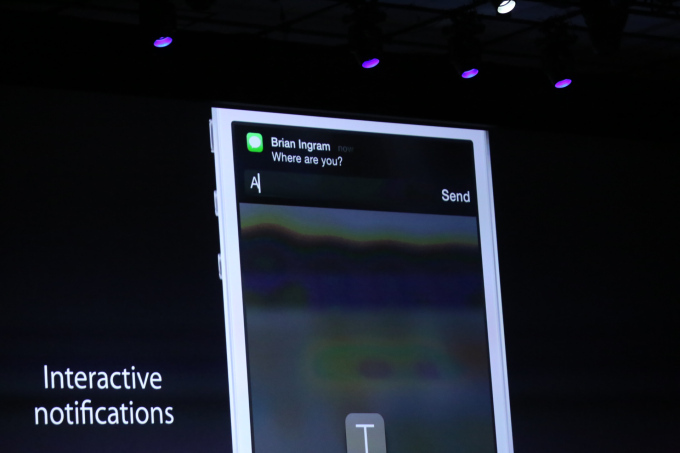 It means that you can send notifications without any UI (e.g. to update some data on your app) and this is accepted by default without having to ask for permissions from the user. you should be using the following to register for notifications now. By the way, that's not all. You can even give categories to allow actionable push notifications. Check out the documentation for UIUserNotificationSettings for complete details or watch the What's new in Notifications video from WWDC.